I’ve found myself answering questions about the FlipPal for some of my friends who are interested in buying a portable scanner and so I thought I’d write up a review of it. I’ve owned a FlipPal for over a year have been advertising it on my website. The reason I promote it is because I think it’s a great product, but without an explanation, people don’t know how it would benefit them over owning a conventional scanner which you can get built into a printer these days. The Flip-Pal is a mobile scanner whose scan window is 5″ x 7″ which makes it great for scanning printed photos that were taken by film cameras. The resolution of the scans will allow you to produce images that are indistinguishable from the original and I find the image quality and color accuracy to be better than other digital scanners I’ve used. The images I have of my childhood are all on prints and if I want to share these photos I need to put them in digital format. And scanning a photo to a digital format is a good idea anyway for the sake of preservation, since printed photos will continue to degrade over time whereas digital files do not. If you already have a scanner and you are comfortable using it to scan your photos, then there’s not as much incentive to getting a Flip-pal unless you need one or more of its unique features. The thing that differentiates this scanner is that it is battery powered and doesn’t need to be connected to a computer to work and that makes it very portable. It’s slightly smaller and lighter than an iPad so it’s easy to take with you. 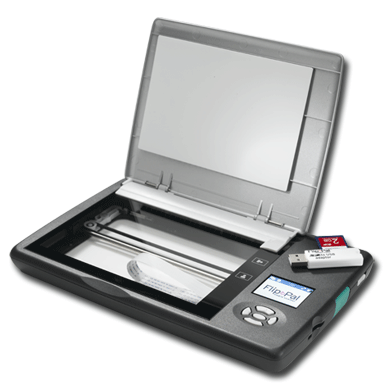 There are no other portable flat bed scanners like it that scan without having to be connected to a computer. It allows you to take the scanner to the photo, as opposed to bringing the photo to the scanner. That might be important if you have photos you want to scan, but the owner of the photos doesn’t want to part with them or risk sending them in the mail. Could you use a digital camera to make a digital copy of a print photo? Sure, you could do that but the result would likely be a disappointment because it would look like a picture of a picture and you’d have to deal with focus, glare, distortion, and lighting issues. The Flip-Pal allows you to make high quality digital images of existing photos whereas a digital camera is very clumsy to use for that purpose and would produce a rather poor result. I have an 8.5″ x 11″ flatbed scanner that is built into my printer. When I want to use it, I have to launch the scanner software and wait for a minute or two for it to start and then put the picture under the lid, click the mouse a few times, preview the image, resize the scan area (since the software always seems to guess wrong size), scan it, save it and if I have a few items to scan I find myself standing up, walking over to the printer and back to the computer, and sitting back down for each photo and it’s an inconvenience. The Flip-Pal scans directly to the SD card so you can do a bunch of scans and then later you can unload the photos and then crop, edit and rename them on your computer when you have time. This makes work flow associated with scanning multiple photos much more convenient. You can work your way through scanning a shoe-box full of photos or a photo album during the course of watching a TV show or having a phone conversation. It also has a feature that if the photo that is in an album with a protective transparency over it and removing it from the album could risk damage to it, you can flip the scanner over and scan the image through the transparency in the album. This is possible because you can see ‘through’ a window on the bottom of the scanner to align it on the photo (hence the name, Flip-Pal). It’s a lot easier than trying to put a large photo album on to a flatbed scanner where it almost always scans at a skewed angle and is prone to falling off or shifting during the scan. The FlipPal also boots up instantly so if you’re in a hurry to do a single scan, it’s much faster than a traditional flatbed scanner. The SD card is probably the most common of all memory cards since many laptops have SD card readers built-in. The Flip-Pal also includes an SD reader that fits in your USB port just in case you don’t have a card reader on your PC. And using this technique to move the images around gets over the issue of being Mac vs. PC compatible. Both Macs and PCs can read its SD card format and jpg files with no problem. I find that having my old photos in digital format makes them much easier to share. An old photo shared on Facebook is much more likely to get noticed because they bring back so many wonderful memories. 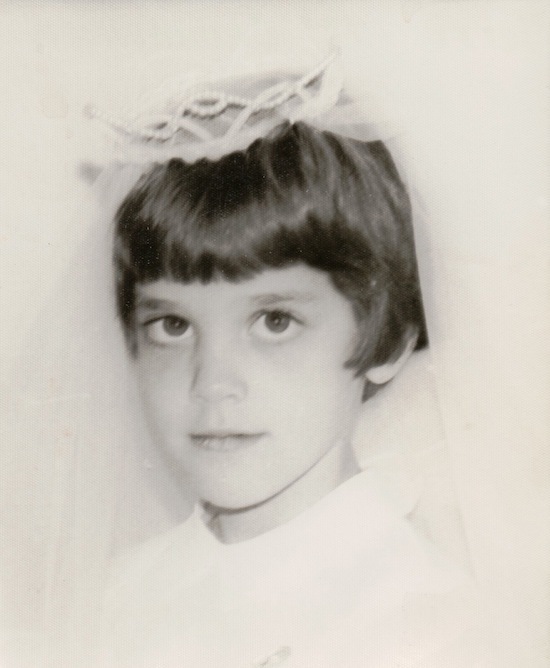 Anyone can upload the latest images from a smartphone, and many do, but if you want to make someone’s day, show them an image from 40 years ago of their mom when she was a child, and that will get some attention. Does it have any disadvantages? I would say that the 5″ x 7″ size can be a limitation if you want to scan a larger image. But it comes with ‘stitching’ software and so if the image is too large to fit in a 5″ x 7″ area, you can take several scans and have them stitched together on your PC using the included software. But I find it to be enough work that I generally will use my large scanner when the need arises to scan a large image. Some people have commented about the small size of LCD screen, but it’s important to recognize this little screen is just part of a user interface, it’s not intended to render a high resolution image of the scan so you can’t compare it to a display on a smart phone. It’s there to make the device more convenient to use. If you want to share scanned digital photos, you’re not going to use the internal display to do it, you’ll still want to move them to your PC for viewing/editing/sharing. I like the fact that the FlipPal requires no software to be installed on a PC to work. How many times have you upgraded to the latest operating system and found that it no longer supported your old printer or scanner because the manufacturer didn’t provide drivers for it? That can’t happen with the FlipPal. 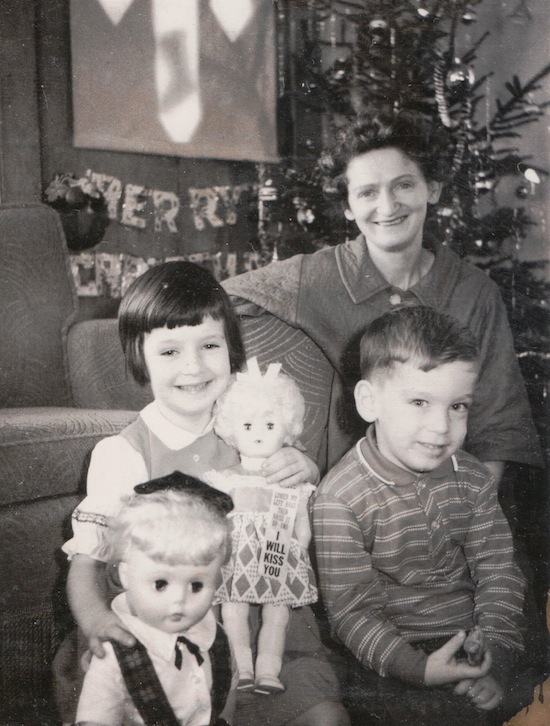 The FlipPal is a great tool for anyone involved scrapbooking, archiving, or just for sharing the old family photo albums where it has found many ardent fans. I enjoy its convenience and simplicity. There’s nothing to learn, just press one button and you’re up and making scans in no time. If that sounds appealing, head on over to the FlipPal website and get yours today. This entry was posted in how to, reviews, technology by Lee Devlin. Bookmark the permalink.